Go on an island excursion every time you slurp on snow cones or shaved ice! 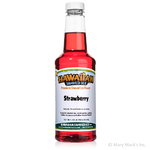 While it sounds like a fantasy, Hawaiian Shaved Ice has made your dreams come true with this classic pina colada flavored shaved ice and snow cone syrup. 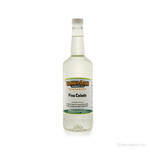 You can enjoy the same delicious taste that you expect from a real pina colada � a harmonious combination of pineapple juice, cream of coconut and white rum. Yet, our cool flavored syrup has no alcohol! So, you can rest assured that it�s safe and fun for the whole family. 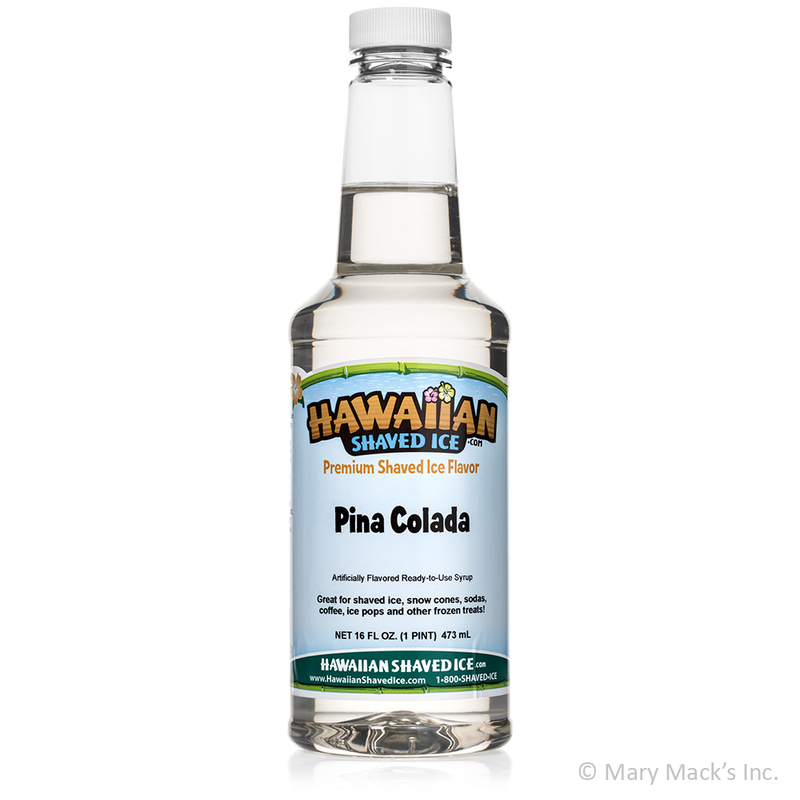 From parties to picnics, to reunions and lazy afternoons, pina colada flavored snow cones and shaved ice will be a unique addition to any occasion. 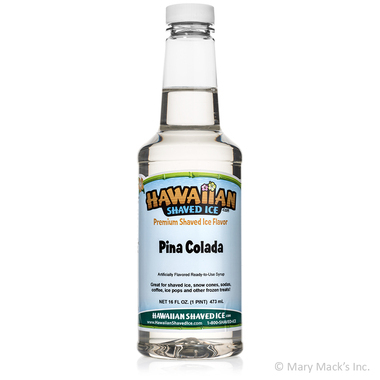 If you�re looking for a refreshing change of pace from your old syrup flavors, then we�re sure that pina colada flavored syrup will satisfy you completely. 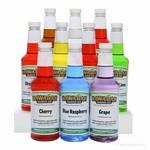 It�s important to always have enough shaved ice and snow cone syrup to efficiently prepare several servings of your favorite sweet treat. 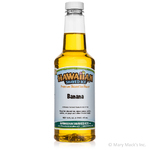 That�s why we offer pina colada syrup in pint, quart and gallon size containers.